Alan Kotok, W3C Associate Chair, MIT site manager and head of the W3C Systems Team, passed away mid-May in Cambridge, Massachusetts, USA. He was 64. Tim Berners-Lee, W3C Director, and Steve Bratt, W3C CEO, expressed their deep sorrow: "Our great friend, colleague, and mentor Alan Kotok has passed away. Alan's W3C involvement goes back before its formal inception, when he was still employed at Digital Equipment Corporation. His early ideas shaped W3C, and helped lead it to what it is today. Long before Alan came to W3C, his experience established him as one of the early wise men of computer science. One of Alan's undergraduate creations was the first video game, Spacewar, which he and several classmates created for the PDP-1 in 1962. 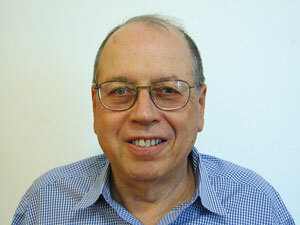 Alan was also part of the team which invented the joystick, an icon of many young computer gamers' experiences. Alan spent 34 years with Digital Equipment Corp. in numerous leadership roles. He served as Technical Director for product strategy and development groups in Telecommunications, Storage, and Internet. Alan provided thought leadership as a member of the Corporate Strategy Group which advocated early adoption and integration of Internet and Web-based technologies. Alan held a wide range of roles at W3C. He carried the title of Associate Chairman, but he also served as the MIT site manager, managed the Systems Team, and worked closely with the Advisory Board. His contributions to membership and financial issues were highly valued. Alan shone as a problem solver, especially in important and complex areas: patent policy development, Patent Advisory Groups, whatever processes, policies and procedures were needed to improve the W3C as a standards body. We have opened a publicly archived mailing list, public-memoria w3.org, http://lists.w3.org/Archives/Public/public-memoria/ to which remembrances and photographs are welcome to be sent. The W3C Team and our organization was immeasurably better for his presence. We will all miss him for who he was, and all that he achieved."